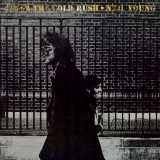 After The Gold Rush (this album) (1970), The Archives Vol. 1 1963-1972 (compilation) (2009). Sorry, no matches on eBay for "Till The Morning Comes Neil Young". Showing latest 5 ratings for this track. | Show all 226 ratings for this track. I don't find it necessary at all.